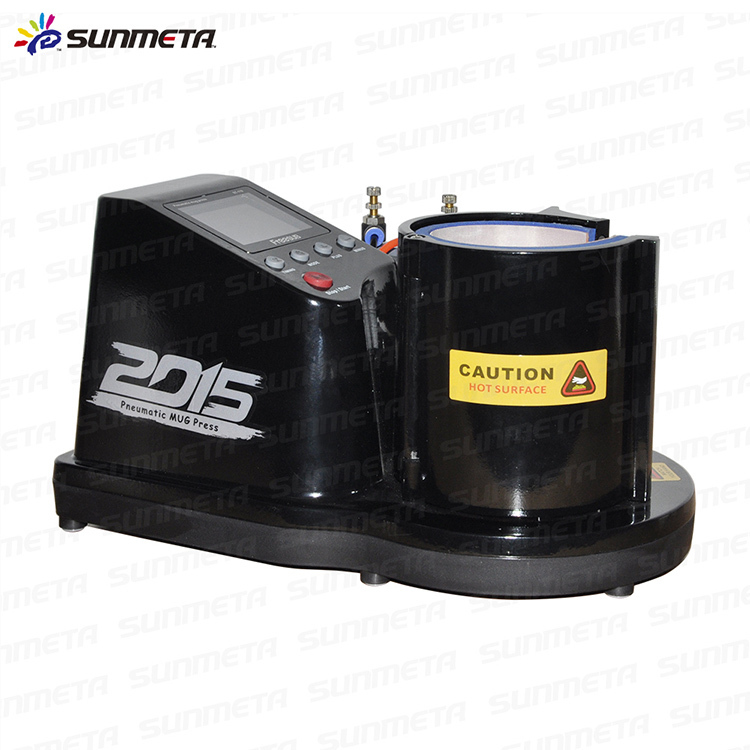 Machine color: glossy black, matte black, glossy white, matte white. Machine color can be customized if large quantities. Sunmeta Digital Graphic Co.,Ltd is located in the famous commodity city---YIWU, Zhejiang province, China, specialized in sublimation technology for many years.As a one-stop supplier of sublimation products, we provide a product portfolio covering Heat Transfer Machine, Heat Transfer consumables, coated Ceramic Mugs, coated crystal and glass products, coated rocks, mobile phone covers, OEM program and any Other relevant products. Small quantity:	 FedEx, UPS, DHL, TNT, EMS, etc. Phone case ,31 kinds of mugs and many small subliamtion products . 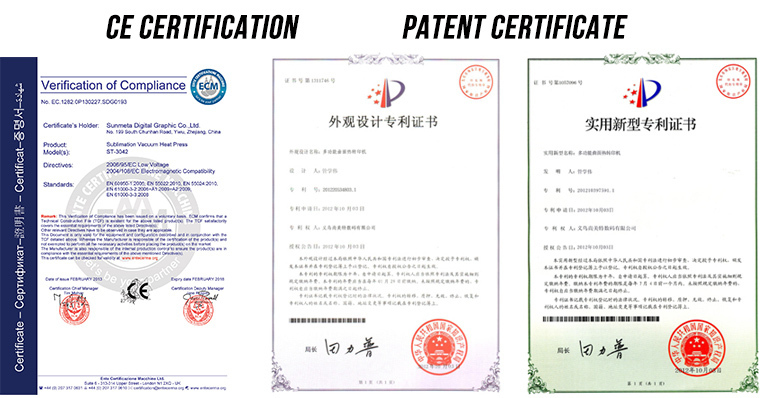 located in yiwu city ,zhejiang province ,near from shanghai and ningbo . welcome to visit our factory . Yes ,usually have stock ,becase our fatory produce everyday. By Sea ,By Plane ,By courier, TNT , DHL, Fedex, UPS Etc ,it is up to you . Usually depend on the total weight and CBM . Contact us if you need more details on Custom Coffee Mugs. 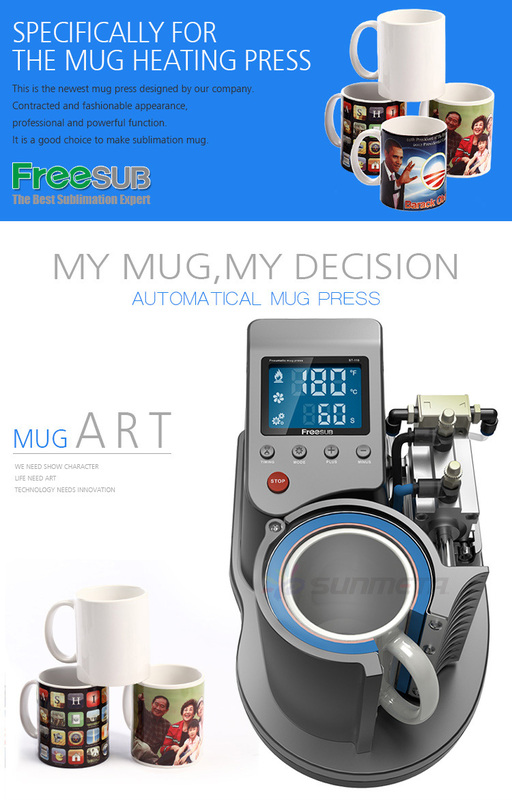 We are ready to answer your questions on packaging, logistics, certification or any other aspects about Sublimation Custom Coffee Mugs、Custom Coffee Mugs Printing Machine. If these products fail to match your need, please contact us and we would like to provide relevant information.